When was the last time you really had a good laugh? I mean, one of those that just takes over? 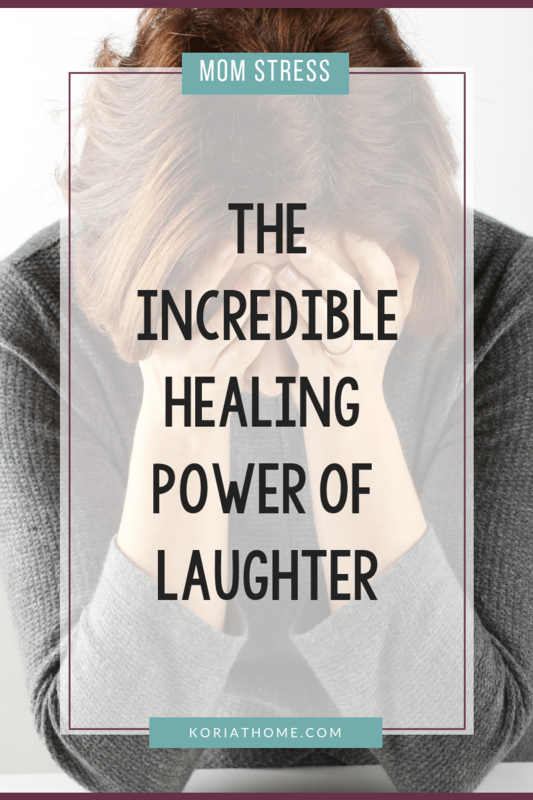 Let’s talk about the healing power of laughter for stress and a few more quick things that you can do to manage your stress as a stay at home mom. This may seem a little silly at first glance and even the first few times you try it, but trust me, it works like a charm. I’m talking about laughing out loud. Not the messaging LOL, but a belly laugh that comes from your soul. Yes, I know this sounds ridiculous, but it actually works. Go find a mirror and give it a try. Just start laughing. It’s going to sound fake at first but within a few seconds it usually turns into a genuine laugh. This is the quickest and easiest way to use laughing as a stress buster. Go find a private bathroom, look yourself in your office and grab your makeup mirror, or use the reflection of your monitor and give it a try. 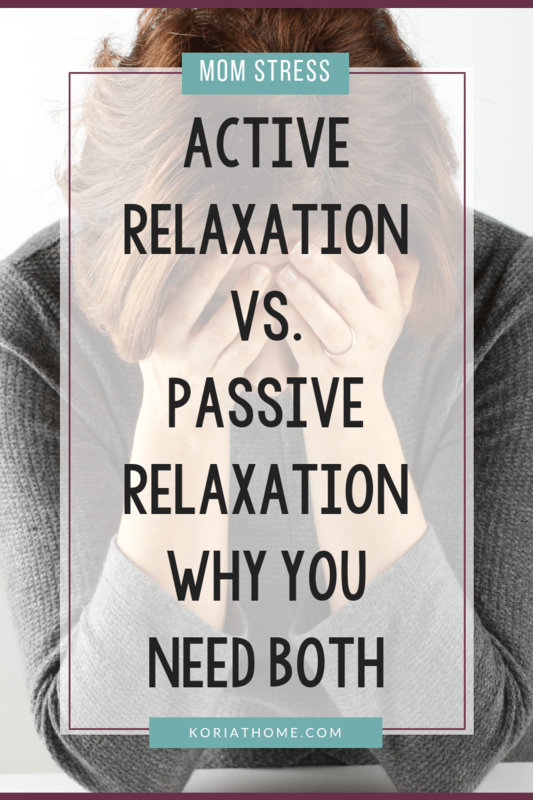 The quickest way to define active vs. passive relaxation is with an example. I’m sure you’ll get it as soon as you read this. Sleeping is a form of passive relaxation. Taking a zip line tour is a form of active relaxation. Most other forms fit somewhere between the two extremes. Meditation is a good example. It’s mostly passive but the mind is still somewhat active. The same goes for reading a book or watching a movie. They are more passive than for example going for a walk, hike, or run. Meeting a friend for coffee, or even better asking them over to your kitchen is another great option. If that’s not possible, get comfortable and call them for a long, relaxing chat. Even something as simple as pouring yourself a nice cup of coffee or tea and enjoying it while you browse through a magazine is a good option. The guys may prefer a glass of ice tea or a cold beer while they watch Sports Center. It’s important to mix and match the two. We need to work in more physical activity and get out there, but also need time to relax our body. I’m recommending that you lose yourself in a good book, movie, or even a few episodes of your favorite TV show. That’s right, I’m giving you permission to play hooky and watch a movie or a trashy novel. Just be lazy. 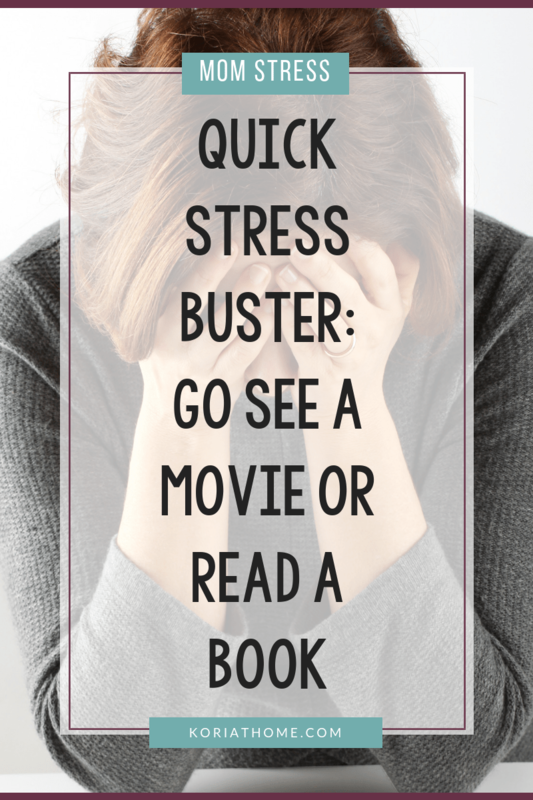 This isn’t about reading a book that’s on Oprah’s book club list or watching a thought-provoking movie. It’s about taking a break and losing yourself in something light and fun. Books and movies are great mental escapes. Sometimes when we find ourselves in a particularly stressful situation, we need a little time-out. It’s perfectly fine to take a break and spend a few hours forgetting about your troubles and problems. You’ll come back out of it refreshed and ready to tackle whatever life throws at you. Don’t be surprised that you’ll quickly make up the time you spent on this quick stress buster when you get back. After a little mental break you’ll be ready to dive back in with renewed energy and drive. This allows you to easily make up the time “lost”. Even when that’s not the case, it will still have been worth it to get some peace for a little while and de-stress. Here’s what I want you to do today. Start by deciding if you’d rather read or listen to a book, or if you prefer a movie or TV show. With that first choice made, it’s time to pick something to get lost in. Browse your bookshelf, head to the library or bookstore, or head on over to Netflix, Hulu, or Amazon Prime and find something good to watch, read, or listen to. For audiobooks, Audible.com is a personal favorite. You can also find and download all sorts of great books to your kindle or smartphone from amazon and even your local library. In short, you have lots of option. Your hardest job right now will be to pick something. When you find something you think you’ll like go for it. As I mentioned earlier pick something light and fun. Don’t judge yourself. If reading a trashy romance novel or watching River Monsters is your thing, go for it. This is for you and for you alone. Don’t try to educate yourself or make it a cultural experience. You want something you can completely lose yourself in and not worry about anything else. Go find it and then spend a couple of hours de-stressing. More importantly, how long did you sleep? 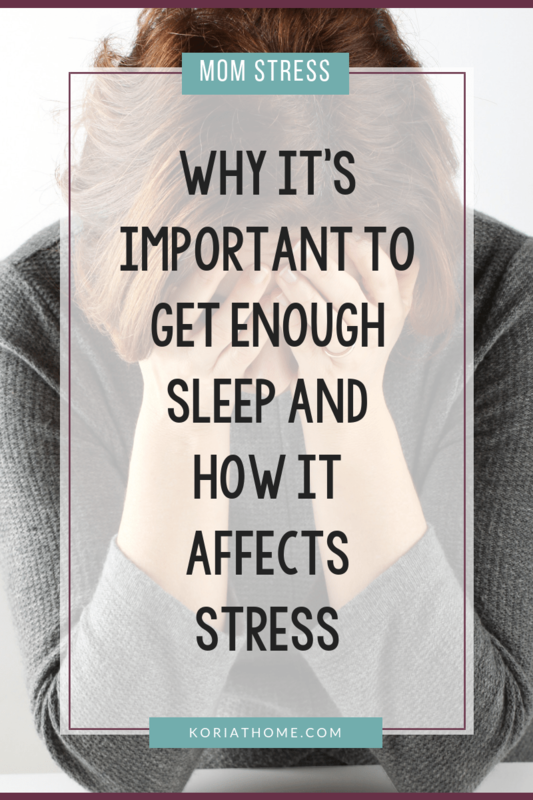 Not getting enough sleep is one of the top causes for feeling stressed. Think of sleep as the ultimate form or relaxation. It’s something we need. If you don’t believe me, try to stay awake for more than 3 days in a row. The hallucinations will set in rather quickly and you’ll start to feel the effects of sleep deprivation long before that. If you’ve ever pulled an all-nighter, you know this. By the following afternoon, you aren’t nearly as sharp as you are after a good night sleep. In fact, you may well be toast. The average person needs a good 7 to 9 hours of quality sleep per night. Yet most of us don’t even come close to that. We stay up late watching TV, browsing the web, or catching up on emails. Then we get up early to get a jump on the day and have a fighting chance at tackling our to-do list while finding time to work out and spend quality time with our loved ones. Something’s got to give with that kind of schedule and more often than not it’s our body and mind. Without adequate sleep, we don’t get the chance to de-stress and process everything that’s happened the previous day. Sure, we can pull it off for a time, but eventually our health and our productivity suffers. While there are seasons in life when we have to make due with little sleep like the weeks and months after having a baby, it shouldn’t be a long-term strategy. If we make it that, we risk having some negative long-term health consequences including heart attack and stroke along with it. That’s right, stress kills and lack of sleep is its accomplice. It’s time to take a stand and make sleep a priority. You’ll be pleasantly surprised how much more you’ll get done during your waking hours and how unstressed you’ll feel as a result. Aim to get a good eight hours of sleep per night. I find it easiest to work backwards. Determine what time you really need to get up in the morning to make it to work on time. If exercise in the morning is important to you, and something you benefit from, account for that as well. The same goes for spiritual and meditative habits. Once you have your ideal wakeup time, work backwards eight to nine hours to find your new bed-time. Get in the habit of going to bed at that hour and make it part of your routine. Once you see how much you benefit from a full-night’s sleep, you’ll be hooked and both your body and mind will thank you for it. To borrow a line from a game show, I’m giving you the option to “phone a friend”. Think of it as your very own safety line whenever you are feeling particularly stressed out. There’s something about saying it out loud and communicating what’s bothering you with someone you trust. Just letting it all out is a freeing feeling. After the call you’ll feel calmer and like a burden has been lifted off your shoulders. Why it may do nothing about what caused you to get stressed out in the first place, talking it over with someone that’s on your side helps clear the fog and allows you to see everything clearly and possibly in a new light. If nothing else, calling a friend and doing a little complaining about it, gives you a chance to vent your irritation and frustration, so you can come back with a clear head and get to work on finding a resolution to what caused you to become so stressed out in the first place. 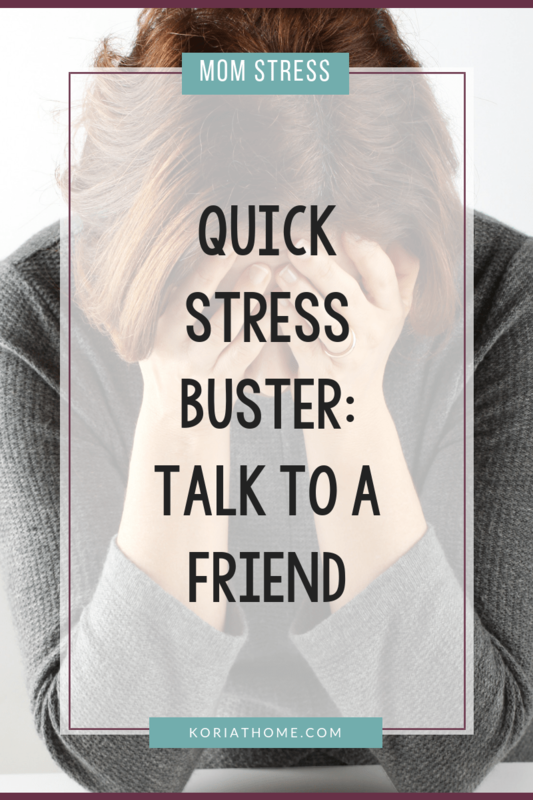 There are a couple of reasons why calling a friend works so well as a stress buster. The first is that it’s easy and convenient. You probably always have your cellphone with you and no matter where you are, you can usually step away for a few minutes and make the call. It’s also helpful that you can’t see the other person when you’re on the phone. You won’t be distracted by facial expressions, body language, or things like a new haircut. You can focus on what’s stressing you out and do so quickly. Often, the faster you can let off some steam, the better. You want to be able to calm down before you say something you’ll regret later. Of course the less time you spent in a high state of stress the better for your mind and body. To prepare for the next time you find yourself in a stressful situation at home or at work, think of a couple of people you would call and make sure their contact information is in your phone. I suggest you pick a couple of them because not everyone will be reachable and ready for a quick chat at any time during the day. Work in a couple of backups. You can also pick different people for different situations. Maybe you trust one very close friend and feel comfortable enough to complain about relationship trouble. Someone else would be better suited for work trouble because they work in the same field or know some of the same people so what you’re saying will make more sense to them and they will be able to relate.